Sorry, Cloud! Mega swords are so 1996. 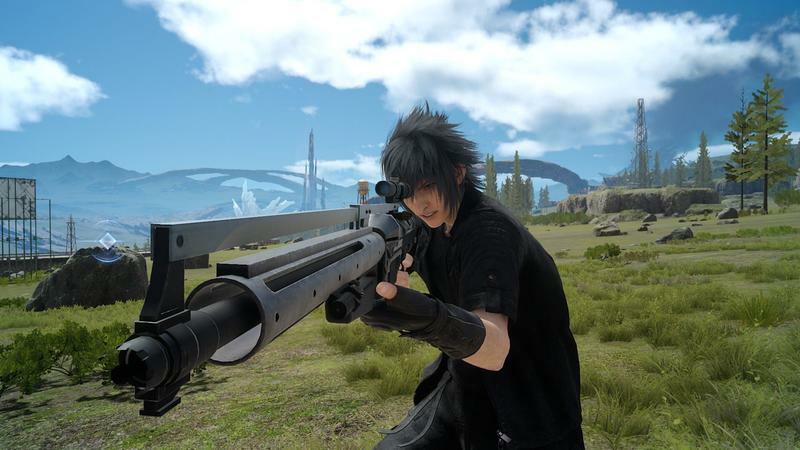 Noctis is bringing with him to the Final Fantasy brand an entire arsenal of firearms, perfect for close range combat, sniping beasts from afar, and just tearing them apart with additional accessories. 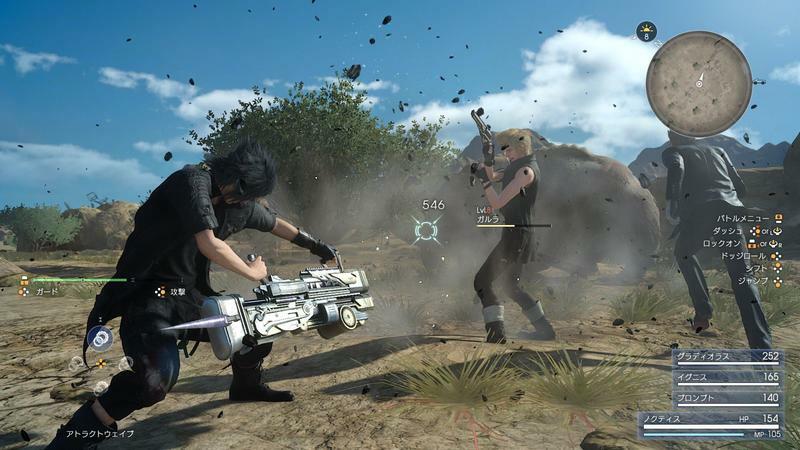 As seen in the screenshots above, Noctis can use both pistols and rifles in his push for ranged attacks. The sniping is naturally only available with rifles. 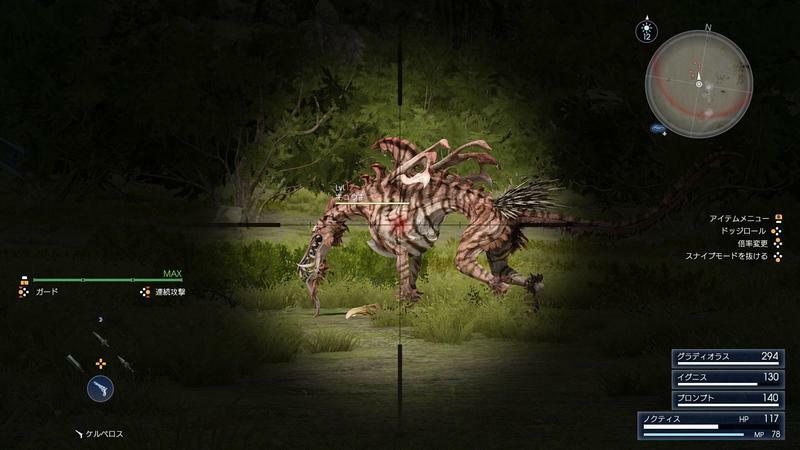 I can see plains littered with monsters in my future. 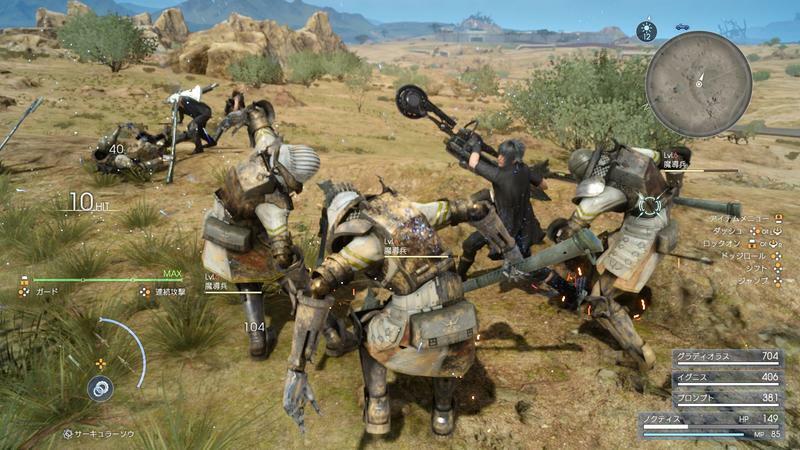 And as for the second group of weapons, Final Fantasy XV is turning to Final Fantasy VI’s King Edgar for inspiration, pulling his “Machinery” ability to utilize powerful, non-traditional technology weapons. 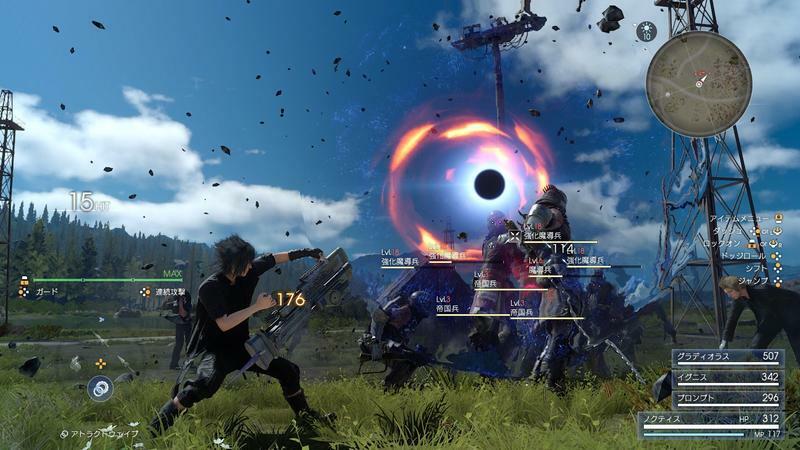 You can imagine what Noctis’ circular saw does to enemies, and the Attract Wave both blasts enemies afar with a black hole and pulls them in for closer-range combat. Final Fantasy XV is more than just a hack ‘n lash, and those worried there won’t be a variety of abilities or tactical choices can relax. Noctis has more tricks up his sleeve than the average Final Fantasy protagonist, putting him on the level of Dante from Devil My Cry. This battle system will bring all of these together in a way that makes sense. 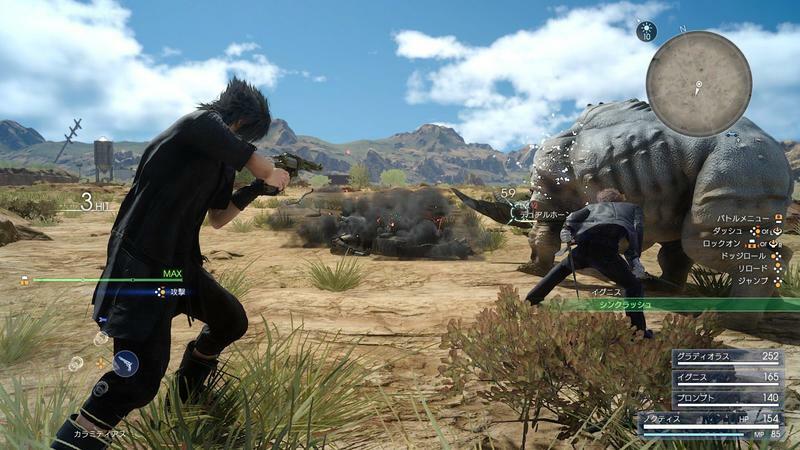 Final Fantasy XV will be released for the PlayStation 4 and Xbox One on Nov. 29.